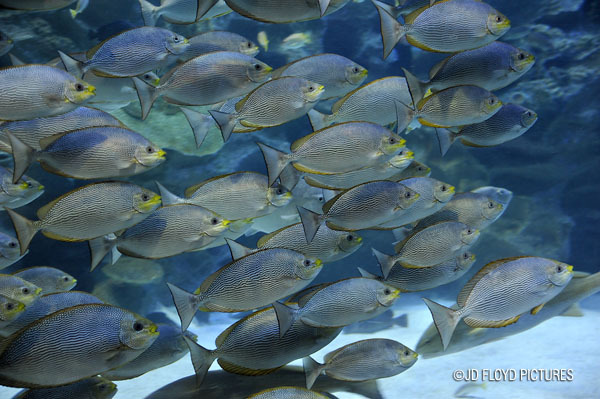 In biology, any group of fish that stay together for social reasons are shoaling, and if the group is swimming in the same direction in a coordinated manner, they are schooling. You can also find interesting facts about schooling at wikipedia, including some great pics. Schooling is a tactic that has several advantages. It reduces vulnerability to predators, improves access to breeding partners and lowers the hydrodynamic drag when swimming at speed. It can also make it easier to find food, but not under all circumstances, and this is the primary reason that some fish do not school. When a fish feeds on large numbers of highly mobile prey much smaller than itself, swimming in a school makes hunting easier. This is because prey that jumps out of the way of a neighbour's mouth might land itself within striking distance. 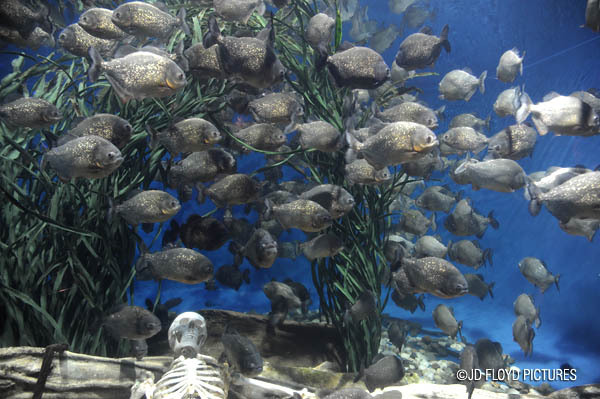 But if the food source is solitary or well hidden, or if the fish feeds on plants, then other fish just represent more competition for a limited resource, and it is better off feeding alone. For us human, it's always better to 'school', just as the old Malay saying bersatu kita teguh, bercerai kita roboh (united we stand). This is interesting and I never thought about it. Hmmm, this makes me think which method I would choose.